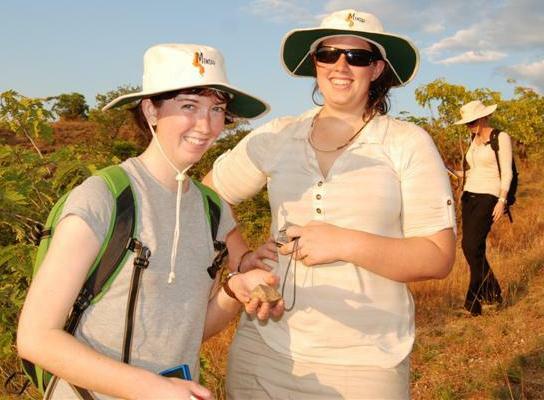 I attended the inaugural MEMSAP field school in 2011 and one of the enduring experiences that I took away from my time in Malawi (apart from practical archaeological skills) was working with students from diverse backgrounds. In 2011 the UQ participants were joined by students from the Catholic University of Malawi (CUNIMA); we had the opportunity to work and get to know each other over three fabulous weeks in northern Malawi. I was struck by our similarities but also the vast differences in opportunities that we had as students from Australia compared to our Malawian counterparts. When I joined the student committee of the World Archaeological Congress (WACSC) earlier this year it was with these experiences in mind. The 7th Congress of WAC is being held at the Dead Sea in Jordan 14-18 January 2013. At WAC-7 I will be co-running, on behalf of the WACSC, a session on student roles in the discipline of archaeology. In addition to hearing the ideas of students from across the world and exploring their positions as fledgling academics, one of the main aims of this session is to come away with strategies that will encourage greater collaboration between students across vast geographical spaces. Ultimately I hope that this will go some way bring students from places such as Malawi into the forefront of archaeology and bridge the gaps in opportunity that I experienced firsthand on the MEMSAP field school. Below are the official details of this session for anyone interested in knowing more or being involved as a presenter at WAC-7. Graduate and undergraduate students’ work in archaeology is often seen as paving the way for their careers, or assisting those of their academic advisors. Their roles in research are that of partial professionals who straddle the line between novice and expert, and their contributions to the discipline are often less visible than their more established counterparts. In this session, we bring together students and those who work with students to discuss the contributions, dilemmas, and ethical responsibilities of students in the research process. This session is run by members of the WAC student committee and as such seeks to further the aims of that committee by providing more insight on the role of undergraduate and graduate students in archaeological scholarship, to encourage collaboration amongst students, and to foster the future of student development in archaeology. This session is open to anyone who has some insight they would like to share on this topic. Submissions are due by October 31st and need to be submitted online. Details on how to submit a proposal can be found on the WAC-7 website, http://wac7.worldarchaeologicalcongress.org/. If you have any questions about this session or how your contribution might fit within it please email the session convenors.